MUA Immaculate Collection: Review, Swatches and Xmas PARTY Eyes! 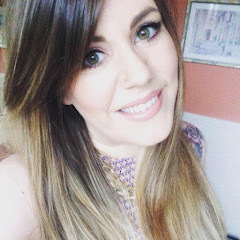 I'm blogging today to show you the second part of my little MUA haul from last week. If you missed my first post all about the 'Out There' Plumping Glosses you can find that post HERE! As we probably are all aware now, with all the posts popping up everywhere about it, MUA are currently giving their 24 shadow Immaculate Collection palette away for FREE when you spend £8 on their products. This is available right through until the 3rd of January so any spare Xmas pennies are definitely well spent on the MUA site. For this post i have had a thorough play with the palette and come up with a review, swatches and a fabulous purple/gold Xmas party make up look using the colours. Hope you like!! Ain't it a BEAUT!!! There are 24 shadows here, which is WAY more than you would get in any Urban Decay palette AND this baby will only set you back £8 (or nothing if you take advantage of the current offer). There's something for EVERYONE in here. Matte shades, shimmer shades, neutrals, brights, metallics.... Nothing has been left out. They have included a colour key on the back of this palette with all the shades represented by numbers, which makes it a LOT easier in terms of blogging and tutorials! And i have swatched them ALL for your viewing pleasure.... (please note i have not numbered the swatches as they are swatched exactly as they appear in the palette so i figured numbering to be a pointless exercise). I was so pleased that this palette contained both shimmer AND matte shades and some of the shades which REALLY caught my eye after just looking at the colours were shade 13, shade 16 and shade 23 because they were matte. But can you get a swatch out of them?? Can you HECK!! These shadows REFUSE to leave their pan. I couldn't get a swatch with my finger, with the sponge applicator OR with a brush. I tried it wet, dry, you name it. In the end i had to REALLY rough them up to get a semi decent swatch, which has ruined the look of my palette a little but i'll live with it for the sake of my blog. I probably dont need to point out which ones they are from the above photos because they look PATHETIC in comparison to the others. Similar on the eyes too. For the look i have done for this post i tried to use shade 13 but it just didnt deposit any colour onto the eye so i gave up on that one. BUT for 3 shades out of 24 i still think this palette is a MAJOR winner and well worth it's money!! MASSIVE LASHES!!! Bit OTT but i wanted drama hehe... These photos were taken using flash as i was short of light. The true result is still dramatic, but a bit softer and not quite so RAWR haha. I finished off by adding more shade 14 to the inner corners and a couple of coats of Urban Decay Curling Mascara. 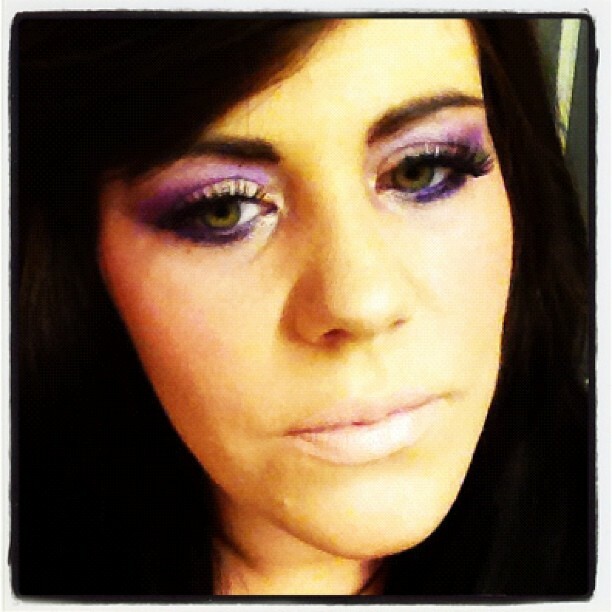 I really love purples at the moment and, as i have green eyes i am happy to use them as they make them go POP!! The shadows were very easy to work with and very blendable. There is a little fallout, especially from the gold shade (as you can see from the close up photo as that was BEFORE i had cleaned up) but you get fallout from even the most expensive of palettes, in my experience. A bit of foundation or concealer is all that is needed to restore harmony to the under-eyes. Also click the box in the top right of my blog as MUA are hosting Giveaways EVERY DAY in the run up to Christmas, as well as showing Christmas inspired makeup and nail tutorials by the lovely Karla for you all to recreate and get in the festive spirit. What colours are you loving this Xmas?? What have you been wearing to your Xmas parties?? This is a gorgeous look on you doll! Purples really suit you, I may have to give it a try! I just got my Immaculate palette, and found it really easy to swatch except for the purple on the 2nd row (NIGHTMARE! lol). Just need to write up my review and then play play play!